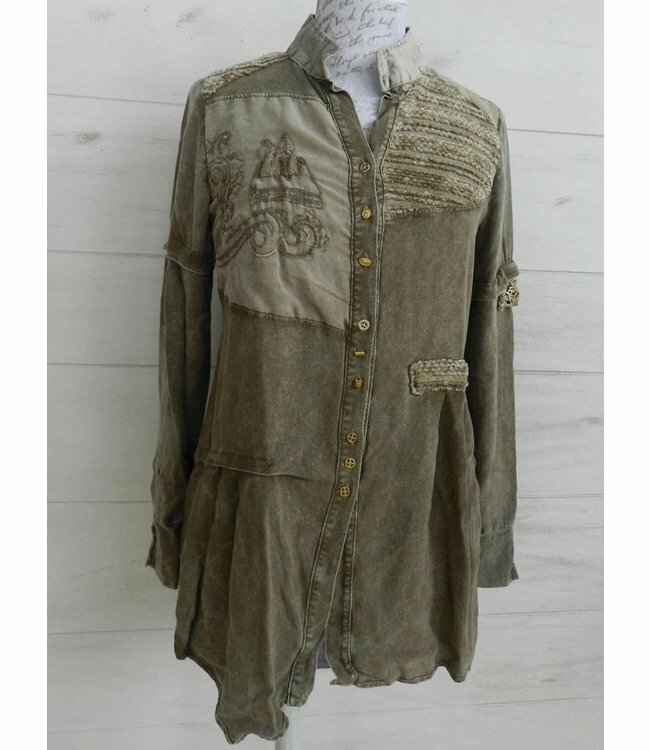 Blouse, Infinito (brown), in a subtly faded look, consisting of a range of fabrics. The front is embellished with elegant embroidery and a variety of accessories. Blouse, Infinito (brown), in a subtly faded look, consisting of a range of fabrics. The front is embellished with elegant embroidery and a variety of accessories. To match: Top ELW189058603 col. 05030 Infinito.